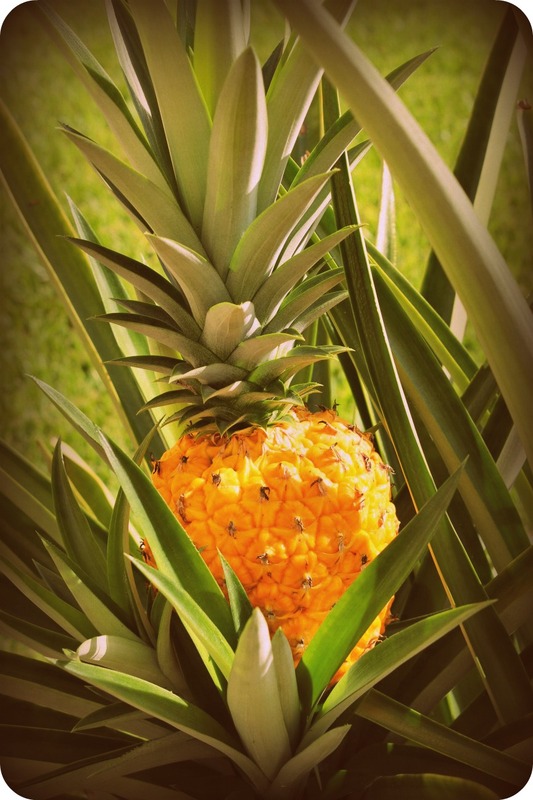 to completely, thoroughly golden-yellow ripe in 4 days. FOUR DAYS! 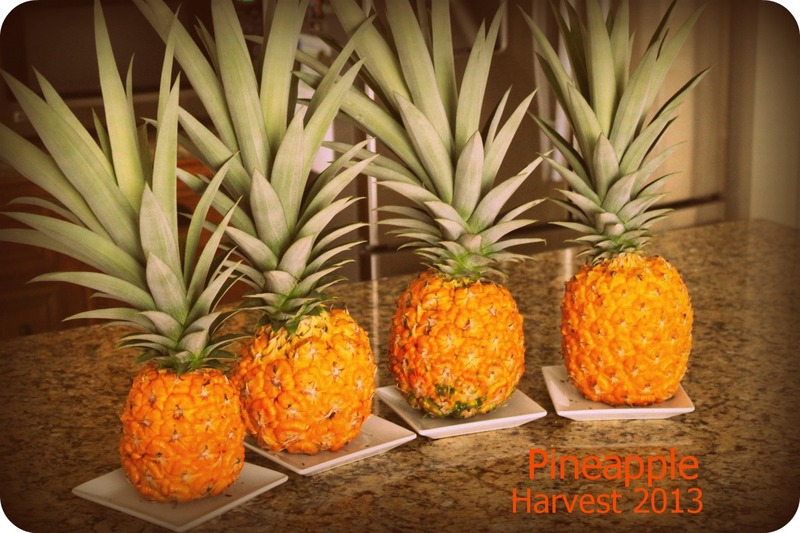 We had no choice but to harvest them before they got too ripe, which was disappointing because we really had hoped the kids would be here to participate. Instead, The Complete Package & I cut them down. No kids; no celebration. 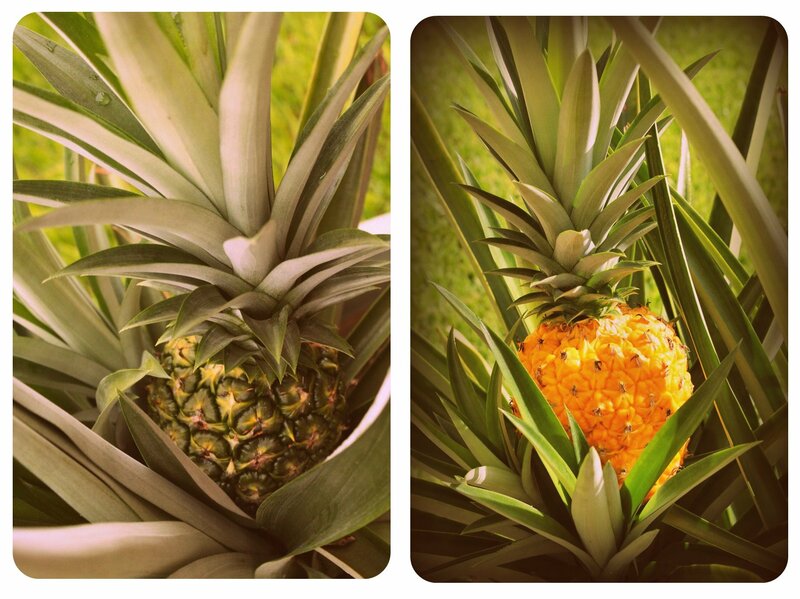 Here’s a peek behind the curtain at how we’ve accumulated so many pineapple plants over the past few years. 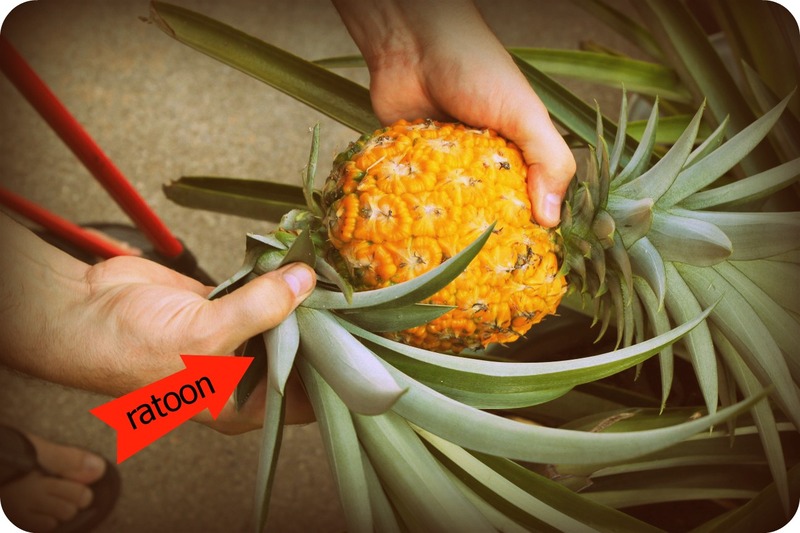 Each plant, while it’s fruiting, puts off several shoots (ratoons) that can be removed and replanted to form new plants. 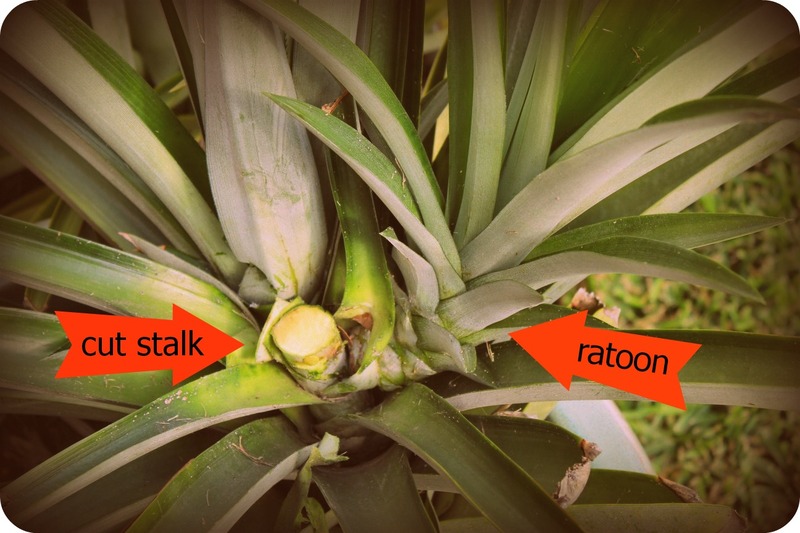 Each of our four fruiting plants put off at least 2 to 3 ratoons. Which brings me to our new little gadget I just have to show off. 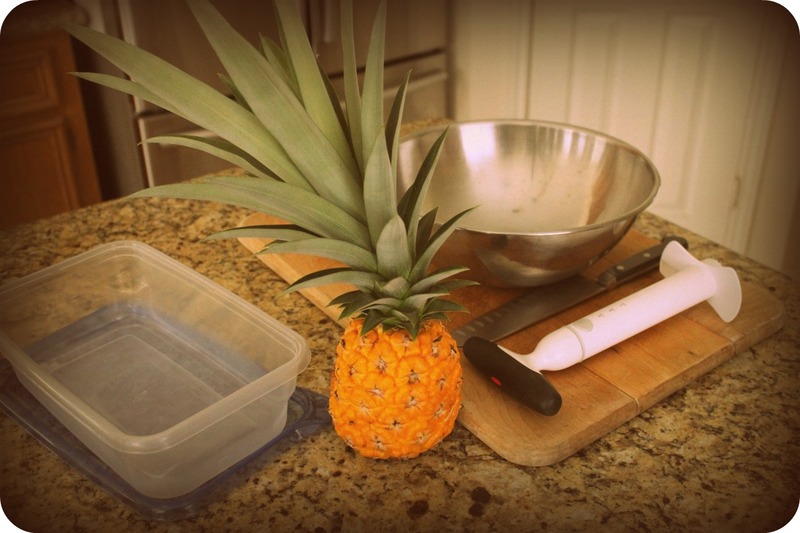 My friend Kirsten of Comfortably Domestic (my sister from another mister) and her four boys were so excited about our pending pineapple harvest, they sent us the new OXO ratcheting pineapple corer & slicer. Oh, baby! 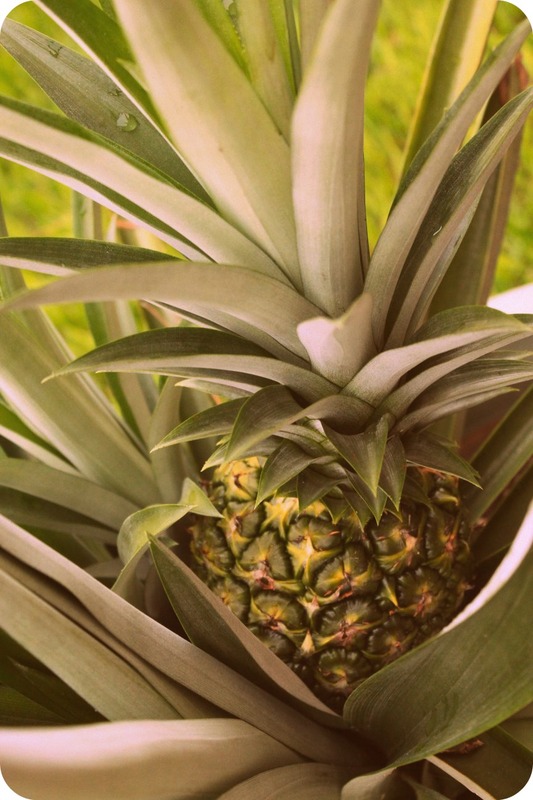 To use it, lop the top off your pineapple, leaving about 3/4″ so you can replant it later and become a semi-obsessed mini-plantation pineapple farmer like me. 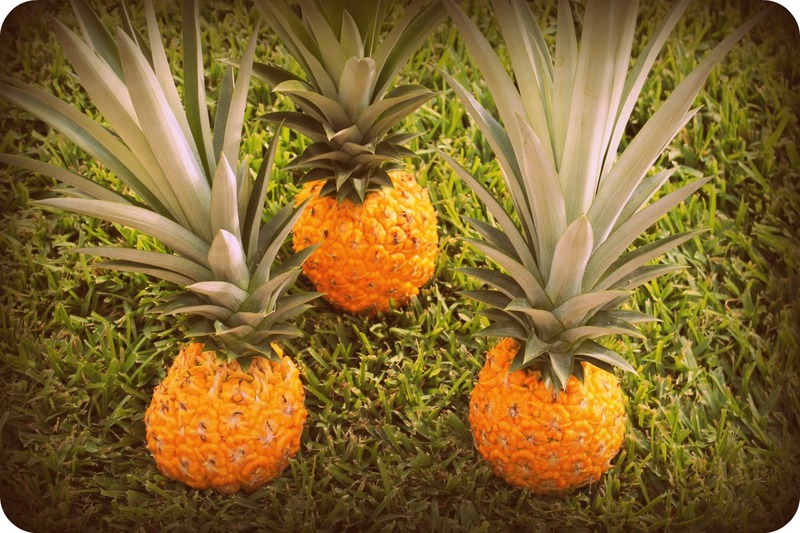 We set the pineapples into a mixing bowl to capture any juice so I could make marmalade (always thinking ahead), then TCP set about coring those golden puppies. 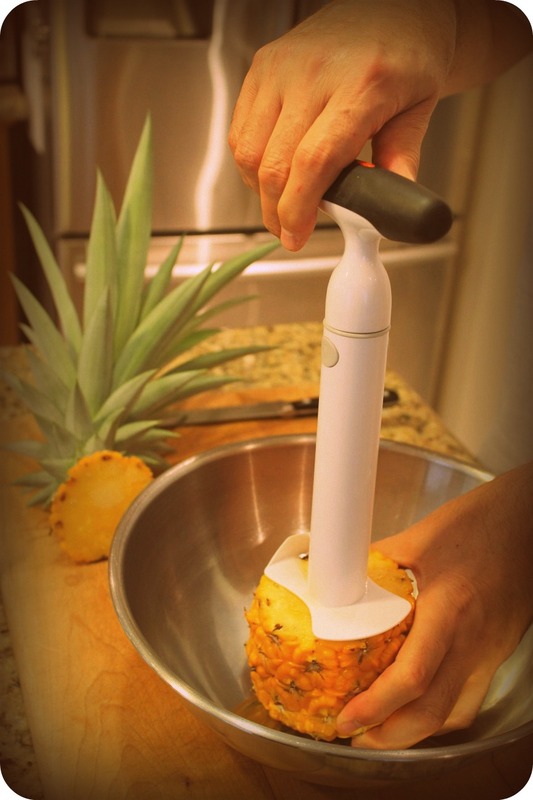 The OXO pineapple corer tore right through each pineapple in seconds. It was amazing to watch and surprisingly fun to use. Did I mention it ratchets? 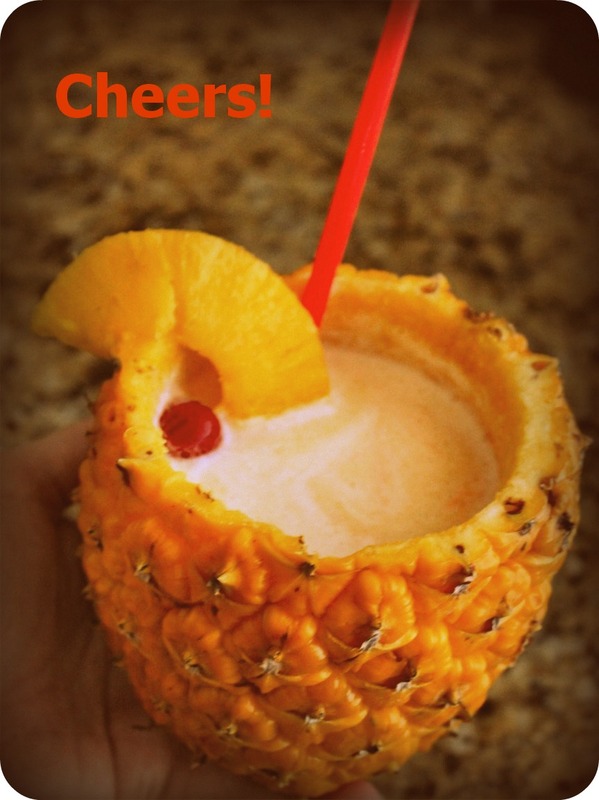 You don’t have to turn the bowl or move the pineapple or anything! 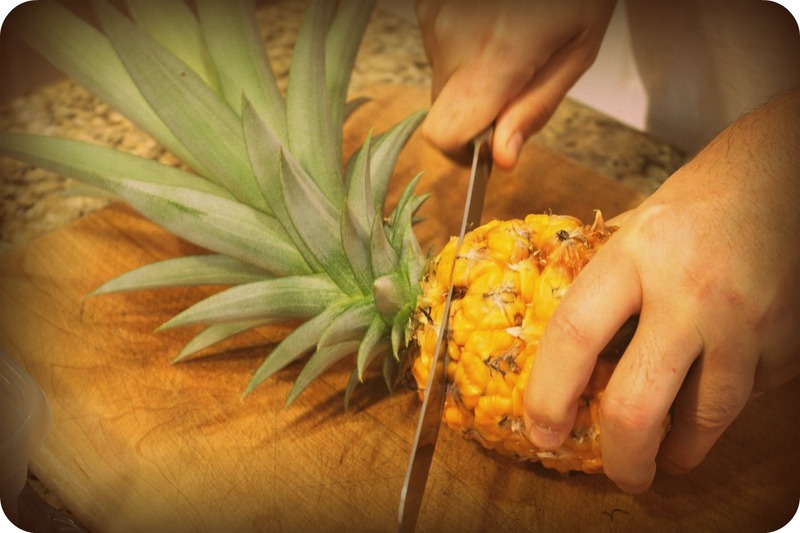 Just twist the handle on top and it ratchets after each cut until it reaches the bottom. Once done, you simply pull the rings right out of the shell. That’s right – I said rings! 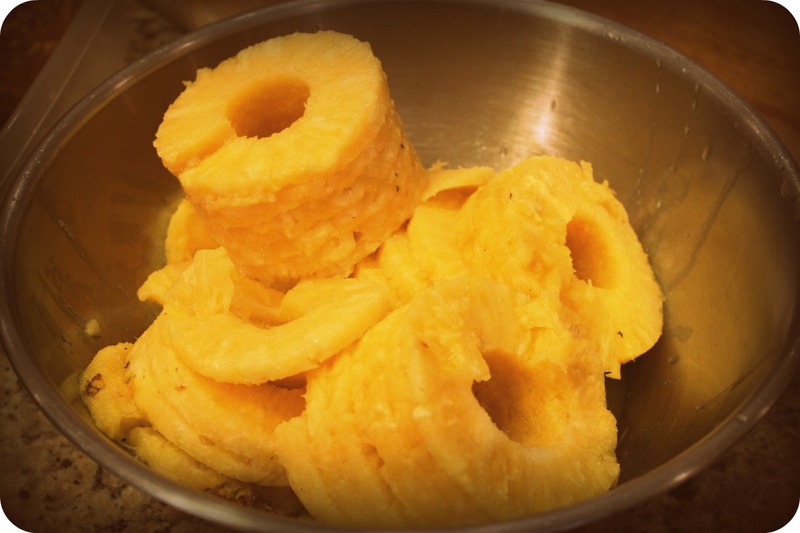 It cuts the entire pineapple into perfectly even rings. Shut up! I know! We set aside one tub of rings for Jonah Bear & Lilly Bug, since they both said they’d like to recreate our pineapple upside-down cake from the 2011 harvest, and poured most of the pineapple and juice into the Dutch oven to make my first ever batch of pineapple upside-down marmalade (pineapple, brown sugar & maraschino cherries). With that, there was only one last task to conquer. Remember that post I mentioned in the first paragraph? The one where I said we probably had a few weeks until harvest? 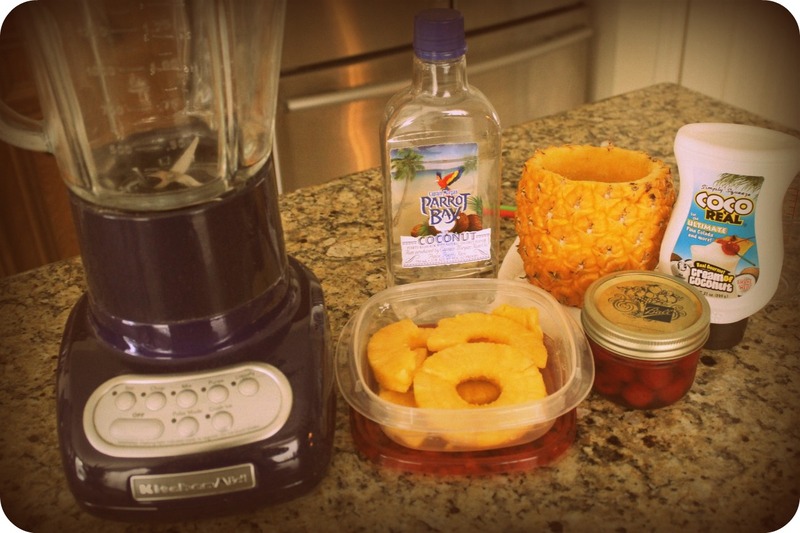 Well, I may have mentioned in that post that I’d also like to make fruity cocktails with this batch of pineapples. 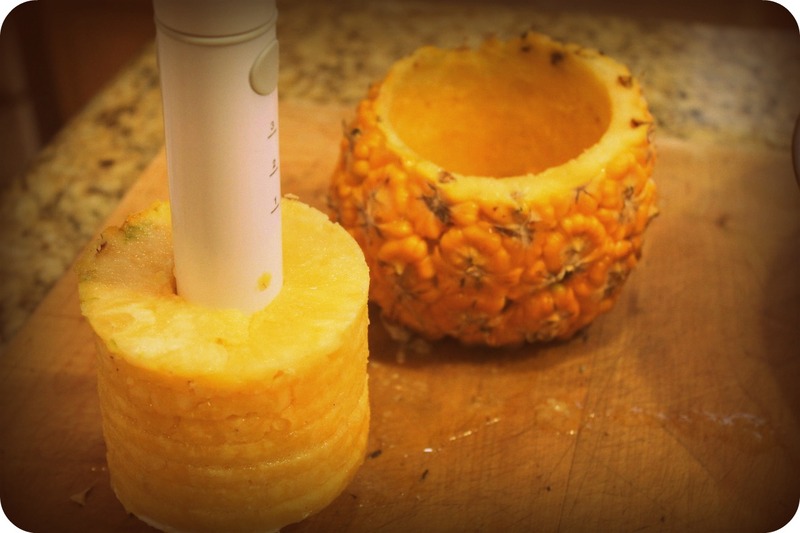 And since the OXO corer/slicer did such a nice job of creating the perfect vessel, there was just one last thing to do. 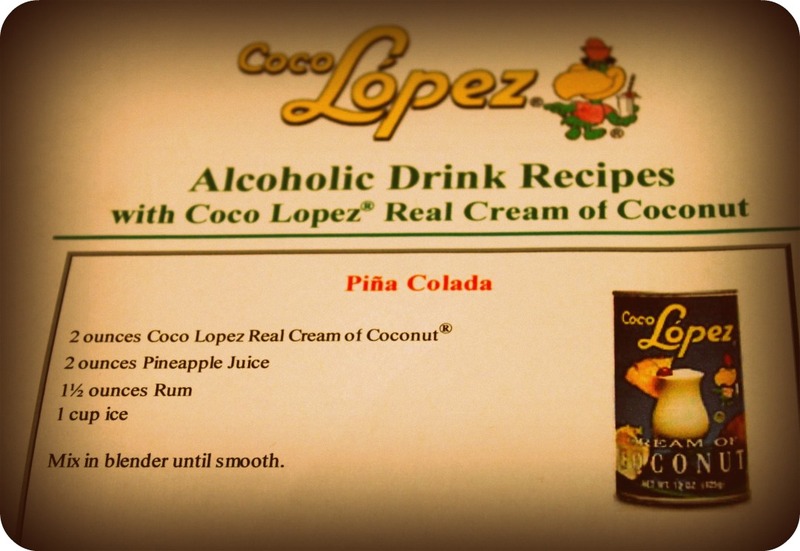 You should know me well enough by now to know that I never turn down a fruity ‘pinkies up’ frou-frou girly cocktail. 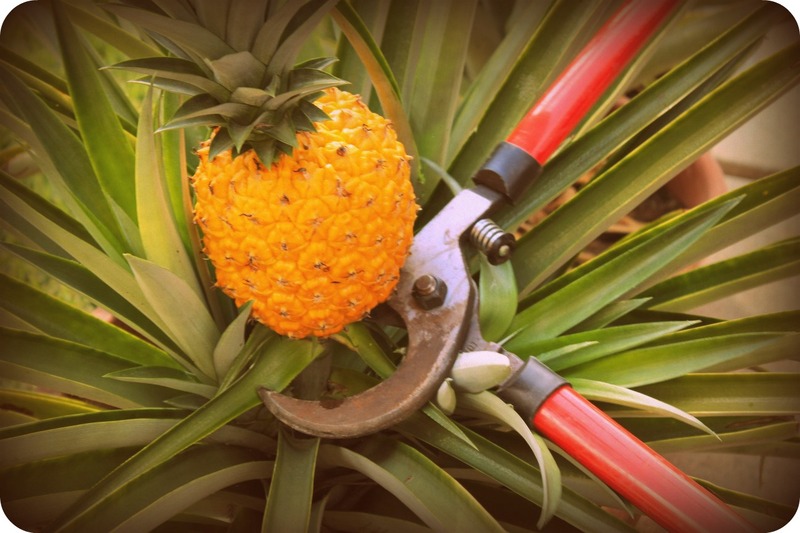 So here’s to you, and here’s to friends who send friends kitchen gadgets, and here’s to the great pineapple harvest of 2013.